It came as astonishment to Mr. Mo, founder of Dinnnerful.com and his business partners that their trademark application was opposed by Tencent, a Chinese internet tycoon. Mo couldn’t believe it as the submitted trademarks are in different language as Tencent’s and the two companies run totally different businesses. One of Tencent’s office buildings in China (file photo). Dinnerful.com is a catering start-up that Mo established with his several close neighbors and friends 18 months ago. Half of the partners have various day jobs, but shared crave for Chinese delicacy, which motivated them to run catering business on their own. The idea was originated from discussions in their Wechat group. Group chatting is very popular on Wechat, an online messaging app that Tencent developed. Mo family and their church friends posted pictures of home-made food inviting each other for potluck gatherings. Chatters named their joyful group as “Wechat canteen on the tip of tongue”. Cooking Chinese food for family members usually means a heavy workload, especially when you want dinners to be both healthy and tasty. Shopping for food on weekends, cooking dinners after work, preparing lunchboxes for kids in the evenings, such day-after-day routine wrinkles hands and passion for domesticity. Group chatters started to imagine if someone could get dinners ready the moment they are back from work. Or maybe, they could open a Chinese restaurant catering for families like them? Three months after starting the business, Dinnerful decided to get a trademark in Chinese as their customers typically read Chinese. Partners hoped to keep their previous chat group’s name as a memorial trademark. So they filed applications for “舌尖微信食堂”and “舌尖微信” which mean “Wechat canteen on the tip of tongue” and “Wechat on the tip of tongue”. United States Patent and Trademark Office (USPTO) accepted the application and put it for publicity. About one month later, Mo received an email from the office that saying that the application was opposed by a law firm that represented Tencent. The email also said the request to extend time to opposed had been granted. Though Tencent has not come up with any other request, it might file the request before the extended deadline, May 3. Headquartered in Shenzhen, China, Tencent is one of the most successful High-tech companies in China. The WeChat mobile app has close to one billion active users. Why would a Chinese Internet giant bother to challenge a tiny US startup’s pattern application? Connie Dai, an attorney from Cutler & Wilensky LLP, explained that being opposed by other companies is normal during the application procedure. Only if no one opposed during the publicity period can the application be formally approved. Apparently, Tencent does not like to see people using “微信(Wechat in English)” in the trademark and it is preparing for the trial. According to USTPO, Tencent has applied for over a dozen trademarks regarding different business. “Wechat” has been officially approved as a trademark used mainly in communication, internet and media field. Mo said that “Wechat” was used because customers refer “舌尖微信食堂”and “舌尖微信” as their DBA business name. It should not be considered as any infringement of Tencent’s legal right. Plus, they only applied for trademarks in catering and restaurant which does not overlap with Tencent’s business. His partners worry that Tencent want to stop their business from growing while they are getting more popular and becoming groupon style BaiDu WaiMai (百度外卖 Internet Catering by Baidu) of Chinese food in the U.S.. Any actions using the Trademark infringement tool, Tencent could drive Dinnerful.com out of business and took over the market. This could happen quickly before people understand what is actually going on. Dai said that a legal fight for the trademark is still possible. However, it will take a lot for a startup to get on a legal fight against Internet Tycoon like Tencent.. Dinnerful’s trademark application is in the category of catering and restaurant, while Tencent’s trademark categories do not include it. Dinnerful has reasonable grounds to argue. Yet it is also possible to be considered rights infringed if the trademarks cause confusion among consumers. Anyway, once Tencent files argument and request with Trademark Trial and Appeal Board, Dinnerful still has chances to appeal. As for compensation, since Dinnerful has already been using the trademark for a while, if Tencent believes Dinnerful infringed Tencent’s rights, the internet tycoon will be very likely to sue the start-up for compensation, according to Dai. Even if Dinnerful win the case, the attorney’s fee is still not affordable. If that happens, this seemingly trivial trademark issue could drive Dinnerful completely out of business. Mo and his partners hope that Dinnerful would get lucky in this trademark legal fight with Tencent as their catering business doesn’t harm the internet tycoon’s interest. In Dai’s opinion, Tencent’s main purpose might be to stop Dinnerful from using “微信” instead of economic compensation. It suggests that Tencent is looking at long-term development in the United States. 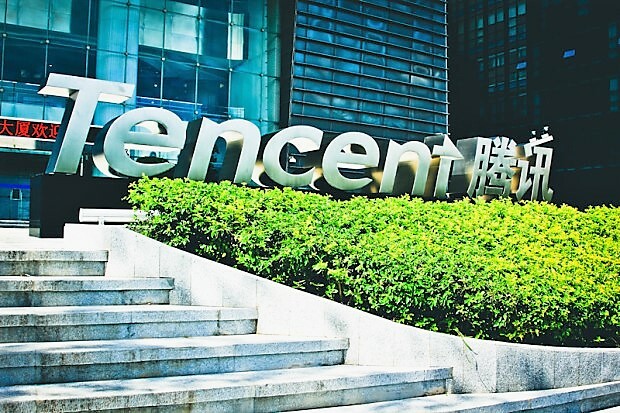 Dai said given the vast legal information in the United States, Tencent acted extremely quickly towards this trademark application. It means Tencent pays money and also special attention to American market. Is Tencent interested in edging into the market? We will see.